Manufacturers have been in the business of managing trade-offs like revenue enhancements, cost containment, customization and standardization. What’s innovative? The ever increasing complexity in which strategies are developed, plans implemented and key decisions made. We can help. 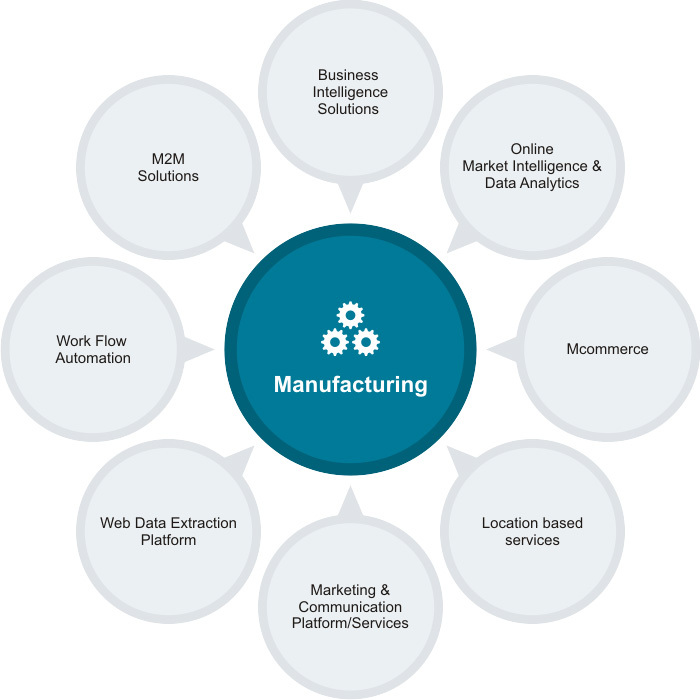 We recognize challenges and focus on Manufacturing Industry solutions. Visit DataCrops Solutions for Web Data Extraction, Analytics, Online Market Intelligence & Business Intelligence Solutions. Visit TeleOSS Solutions for Marketing Communication, Work Flow Automation, Location based services & M2M Solutions. Aruhat Technologies Pvt. Ltd. was incorporated in the year 2004 in Ahmedabad, India with a vision 'to take India and belongings a step further in their life styles and/or living standard by continuous improvements and innovations backed by core competence'. Aruhat is moving towards product based solutions around its emerging technologies to serve and extend its business reach to the global marketplace.